Monday through Friday, four times a day, listeners will be encouraged to be the “nth” caller to win $30 in Kansas Lottery Triple Motor Mayhem instant tickets. Daily winners automatically qualify for the grand prize: Two tickets to see the Chris Stapleton All American Show LIVE in Chris’s hometown of Louisville, Kentucky and $100 in Kansas Lottery Triple Motor Mayhem instant tickets. Monday through Friday, five times a day, listeners will have a chance to call in to win $30 in Kansas Lottery Triple Motor Mayhem instant tickets and become a finalist for the grand prize: a Flyaway for two to see the BET awards in LA including airfare, hotel accommodations, two tickets to the show, two tickets to the record label party, $250 cash and $100 in Kansas Lottery Triple Motor Mayhem instant tickets. Monday thru Friday afternoon, Nivens opens the Rock ticket vault with Free Tix After 6. 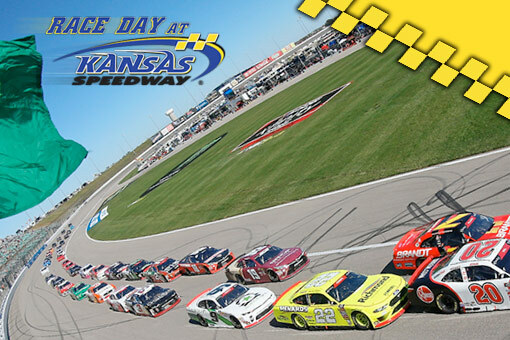 In addition to a pair of tickets to an upcoming concert, the 9th caller will win $30 in Kansas Triple Motor Mayhem instant tickets and qualify for the grand prize: a trip to Daytona to catch the NASCAR races over 4th of July weekend, hotel accommodations, and $100 in Kansas Lottery Triple Motor Mayhem instant tickets. Rockaholic email updates and social media will encourage listeners to text the key word LOTTERY to the Rock’s text line or visit the contests page at 989therock.com for more chances to win! Weekly texting and contest page winners will also qualify for the grand prize. Monday through Friday, four times a day, listeners will be encouraged to be the “nth” caller to win $30 in Kansas Lottery Triple Motor Mayhem instant tickets. Daily winners automatically qualify for the grand prize Back to Back Backstreet Tour: a pair of tickets to three concerts: St Louis, Kansas City and Omaha, cash for gas and $100 in Kansas Lottery Triple Motor Mayhem instant tickets. 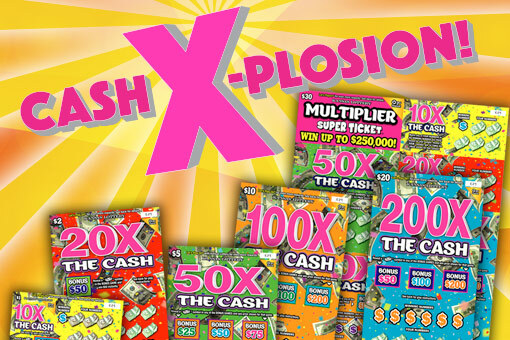 Monday through Friday, three times a day, the FOX DJ’s will give listeners the chance to call in to win $30 in Kansas Lottery Triple Motor Mayhem instant tickets. One winner will be selected from the online entries. Daily winners automatically qualify for the grand prize: a Ford Mustang rental for Memorial Day weekend to see the rolling Stones at Mile High Stadium in Denver including car rental, tickets, hotel for two for the weekend and $100 in Kansas Lottery Triple Motor Mayhem instant tickets. For two weeks, Monday through Friday, during the Big Country Morning show and the Drive Home with Keith Montgomery on air talent will be giving away $20 in Kansas Lottery Triple Motor Mayhem instant tickets. All listeners can register at 94country.com to win the grand prize: $100 in Kansas Lottery Triple Motor Mayhem instant tickets. A chance to go see the Evil Twins in KC. Listen for the cue to call. Qualifiers will win a $20 Kansas Lottery Triple Motor Mayhem voucher each day and the grand prize winner will receive a pair of tickets to the Evil Twins concert on July 17th at Providence Medical Amphitheater and $100 in Kansas Lottery Triple Motor Mayhem instant tickets. Listen for your cue to call, the first caller will instantly be able to pick an envelope letter (M-A-J-I-C) and inside will be either $50 in Kansas Lottery vouchers for Triple Motor Mayhem scratch tickets or 2 Shawn Mendes tickets. For two weeks, all listeners can go to 98jackfm.com and register to win one of four grand prize packs of $100 in Triple Motor Mayhem instant scratch tickets for a chance to win a Ford Expedition, F-150 Raptor, or a Mustang. The grand prize packs will be given away weekly with the final one after Monday, May 13. Two listeners each day will win $30 in Kansas Lottery Triple Motor Mayhem instant scratch tickets. Listeners will also be given a code word during the promotion. They can enter the code word at power93.5.com to register for the grand prize. On, May 17th, one listener will win the grand prize of $100 in Kansas Lottery Triple Motor Mayhem instant scratch tickets, an overnight hotel stay, and 2 tickets to see Ariana Grande in Oklahoma City on May 23rd. Two listeners each day will win $30 in Kansas Lottery Triple Motor Mayhem instant tickets during am drive and pm drive. On June 28th, one listener will win a grand prize of $100 in Kansas Lottery Triple Motor Mayhem instant tickets and two tickets to see Shawn Mendes at the Sprint Center in KC on July 19th. Online Listeners will also be directed to the Club Buzz website where they can register on line for the grand prize. Two listeners each day who will be the “nth” callers will win $25 in Kansas Lottery Triple Motor Mayhem instant tickets and then be qualified to win the grand prize: two tickets to see Carrie Underwood at Intrust Arena on September 18, 2019 and $100 in Kansas Lottery Triple Motor Mayhem instant tickets. Two listeners each day who will be the “nth” callers will win $25 in Kansas Lottery Triple Motor Mayhem instant tickets and then be qualified to win the grand prize: two weekend passes to Rocklahoma on May 24th-26th and $100 in Kansas Lottery Triple Motor Mayhem instant tickets. Channel 963 will do the Kansas Lottery’s Triple Motor Mayhem scratch ticket giveaway every weekday around 10:30. They will take the 9th caller and award them $30 in Kansas Lottery Triple Motor Mayhem instant tickets. All daily winners will automatically qualify for the grand prize: a pair of tickets to see Shawn Mendes at the Sprint Center in KC on July 19th, including a night stay at the 816 Hotel in Westport. 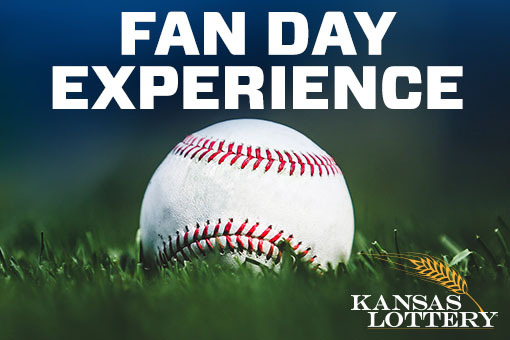 On-line: Monday through Friday, listeners will be encouraged to log on to www.channel963.com and register for a second chance to win $30 in Kansas Lottery Triple Motor Mayhem instant tickets. 102.1 The Bull will register daily winners to win a pair of tickets to see Carrie Underwood! Daily qualifiers receive $30 in Kansas Lottery Triple Motor Mayhem instant tickets and the grand prize winner will receive a pair of tickets to see Carrie Underwood on September 18th at Intrust Bank Arena and dinner for two at the Kitchen downtown. The on-air part will take place weekday afternoons in Michelle Buckles show, with Ford Trivia. First caller in with the correct answer wins $30 in Triple Motor Mayhem tickets and qualifies for the grand prize. Online: Listeners can qualify for a second chance drawing online by logging onto the Bull’s website and clicking on the Kansas Lottery Triple Motor Mayhem instant ticket logo to get registered for the contest. *Tune in to these stations for additional "Listen-And-Win" local station/Kansas Lottery on the air promotions! * Coupons can be redeemed at any Kansas Lottery retailer. * Winners must be 18 years of age or older to receive lottery tickets.